Very nice and friendly host. Room was super clean and nice! We loved it! Sadly, we were just staying one night. Location was great too. approx 20min walking distance from old town. Very friendly staff and also very responsive prior to arrival. Would definitely stay there again! Lovely staff and very helpful lovely place to stay would highly recommend. 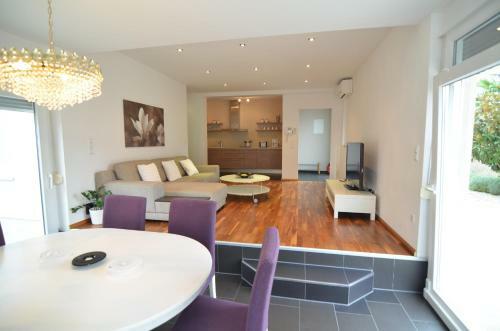 The apartment was located in the old town which is great but a local restaurant is about 3 meters from the building. Loved this place. It was clean, modern and comfortable, and there were nice common areas to enjoy. More than that, every staff member we met was warm, helpful and friendly, some of the nicest proprietors we met in Croatia. There was one in particular who helped me map out a future lodging in Dubrovnik. Lovely Ms tell me few tips that help me visit the nice places in Zadar. 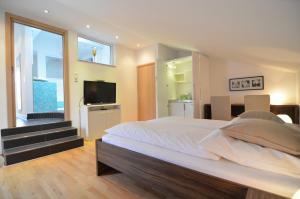 Very modern , clean building and room . Especially equipments of bathroom is very nice. We stayed only one night on our trip, but wanted to stay more nights there. Parking was easy, in front of property. Spacious washroom with very good shower head. Excellent Wi-Fi. The room was big, value for money. Nice and helpful staff. Lock in a great price for Villa Diana Zadar – rated 9.4 by recent guests! Villa Diana Zadar This rating is a reflection of how the property compares to the industry standard when it comes to price, facilities and services available. It's based on a self-evaluation by the property. Use this rating to help choose your stay! Villa Diana Zadar features boutique air-conditioned apartments and rooms and is set just a 20-minute walk from Zadar’s Old Town. 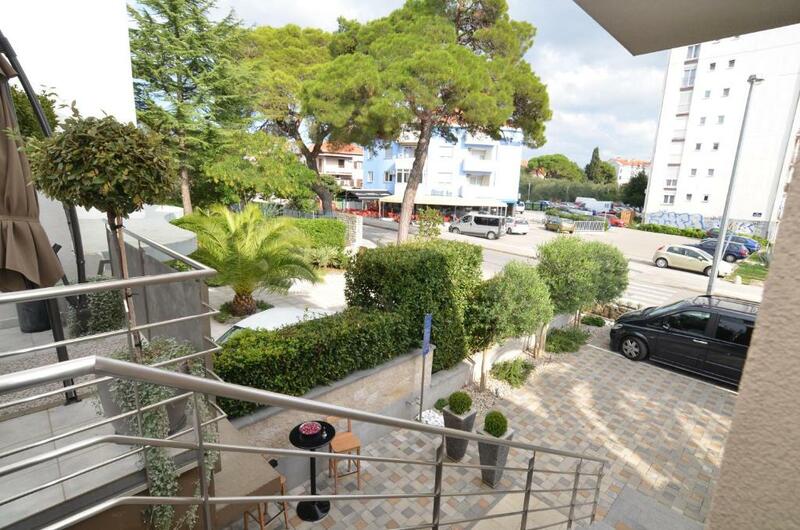 The property is surrounded by shops and Uskok Beach is a 20-minute walk away. Free Wi-Fi is available. The apartments and rooms are equipped with a flat-screen satellite TV and most of them come with either a terrace or a balcony. All rooms include kitchenware and a refrigerator, while apartments also provide a fully equipped kitchen with a dishwasher. Bathrooms include free toiletries and a hairdryer. 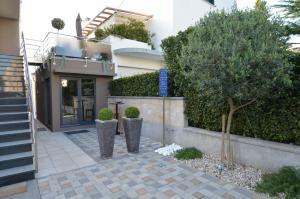 At Villa Diana Zadar guests can enjoy a garden, barbecue facilities and a terrace. Cars and bicycles can be rented directly at Villa Diana Zadar. Local busses stop just 150 feet away, and free private parking is available at the villa. If you feel like visiting the surroundings, check out The historic Zadar Old Town, with remains of a Roman Forum and the historic Church of St. Donatus, as well as the popular Sea Organ and Greeting to the Sun. A pick-up service to the airport upon previous request and at a surcharge. Zadar Airport is located 6.2 mi from the property. 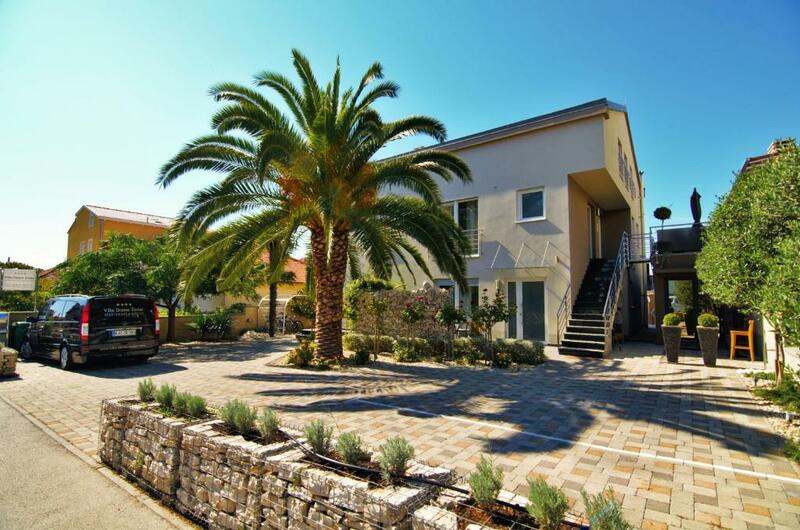 This property is also rated for the best value in Zadar! Guests are getting more for their money when compared to other properties in this city. When would you like to stay at Villa Diana Zadar? This spacious and air-conditioned room comes with a flat-screen satellite TV and a kitchenette with a fridge and a hob. The bathroom is fitted with a shower and includes a hairdryer and towels. Featuring a furnished balcony that overlooks the sea, this spacious air-conditioned room comes a flat-screen satellite TV and a kitchenette with a fridge and a hob. 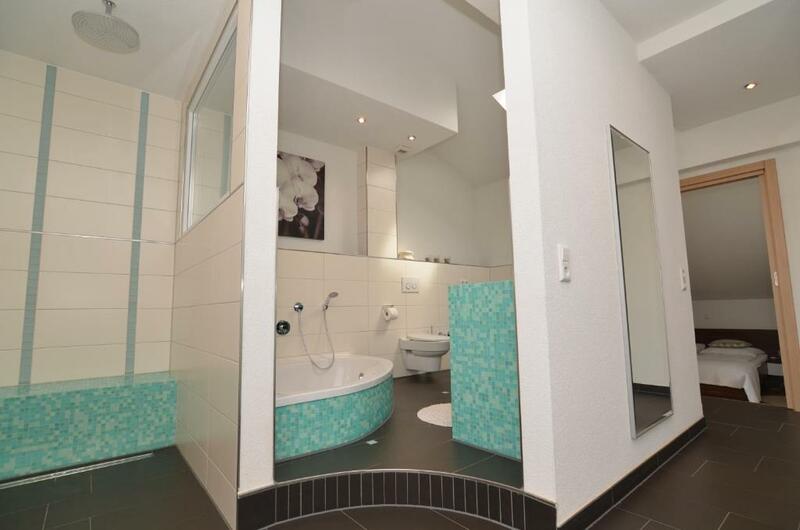 The bathroom provides heated floors and includes a spa bath, as well as a hairdryer and towels. Please note that extra beds and baby cots are not available in this room type. Featuring a balcony, this air-conditioned studio comes with a spacious seating area with a sofa bed and a flat-screen satellite TV. 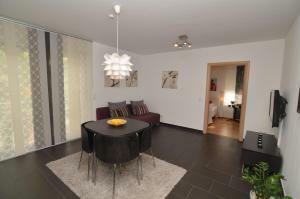 A fully equipped kitchen and a bathroom with heated floors, a bath and a hairdryer are provided. 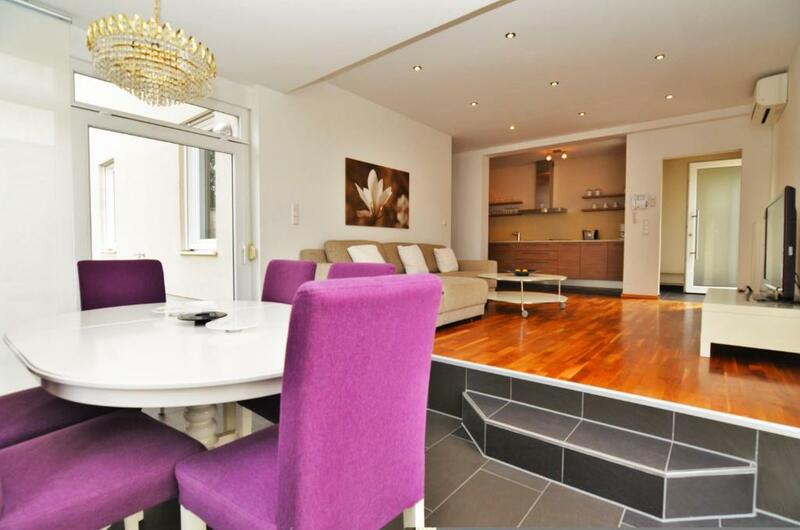 Featuring a furnished terrace, this air-conditioned apartment is located on the ground floor and has a private entrance. It consists of a living room with a seating area and a flat-screen satellite TV, as well as a fully equipped kitchen with a dining table. The bathroom is fitted with a shower and includes a hairdryer. This air-conditioned apartment comes with a living room that opens up to a large terrace with outdoor furniture and BBQ facilities. Amenities include a flat-screen satellite TV and a seating area. The fully equipped kitchen comes with a dishwasher, coffee maker and microwave, while the bathroom includes a bath, hairdryer, washing machine and towels. Please note that the room rate is based on 4 guests. Maximum occupancy is 6 guests (see extra beds rates). Located on the second floor, this air-conditioned room consists of a flat-screen satellite TV and a kitchenette with a fridge and a hob. The bathroom is fitted with a shower and includes a hairdryer and towels. This air-conditioned apartment comes with a spacious living room consisting of a flat-screen satellite TV and a seating area. The kitchen is fully equipped, while the bathroom features a bath and includes a hairdryer and towels. House Rules Villa Diana Zadar takes special requests – add in the next step! Villa Diana Zadar accepts these cards and reserves the right to temporarily hold an amount prior to arrival. Any type of extra bed or baby cot is available upon request and needs to be confirmed by the hotel. Guests are kindly requested to inform the property in advance of their estimated time of arrival and the total number of guests staying in the apartment. This can be noted during booking or by contacting the property using the contact details found on the booking confirmation. Please note that check-in is possible until 21:30. Please inform Villa Diana in advance if you plan to arrive later. Please inform Villa Diana Zadar of your expected arrival time in advance. You can use the Special Requests box when booking, or contact the property directly using the contact details in your confirmation. A site table would be useful to set-up a laptop. Also a microwave would have been nice. A little bit far from the center. Very helpful with us arriving late. More than happy to help with directions and recommendations for restaurants ect. We were told to dine at Bruschetta in the old town definitely stood up to there recommendation. Thanks team great job. We had hired a car, so the location did not matter to us, but if you don’t have a vehicle, it’s a bit of a walk into Zadar. We stayed in the 1 bedroom property just for one night when we arrived in Croatia, and the 2 bedroom apartment for the final 2 days of our holiday. 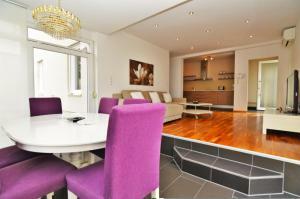 I particularly liked the 2 bed property as it had a bath, and was very spacious. No coffee machine in the room even though the room info does specify one. Asked reception about this but they were not able to provide. Everyone where some helpful nothing was to much trouble. Nothing, the place was perfect. Beautiful new well equipped apt. Small out door area with comfortable furniture. Staff were very friendly and helpful. An easy 20 minute walk down the hill to the old town. A large grocery store with bakery 5 minute walk. Everything is new. Better than in pictures. Kitchen with high top equipment.Terrace was fantastic.